December is off to a nice start with plenty of major tournaments throughout esports, including Dota 2, Rocket League, and Gears of War 4. In addition to the MLG Dallas Open and ELEAGUE Cup, DreamHack Winter 2017 is underway in Sweden with tournaments ranging from Smash Bros. Melee to H1Z1. Below you’ll find where and when you can catch all the weekend’s biggest events in competitive gaming. Let us know what you’ll be watching in the comments or if you think there’s something we might have missed. 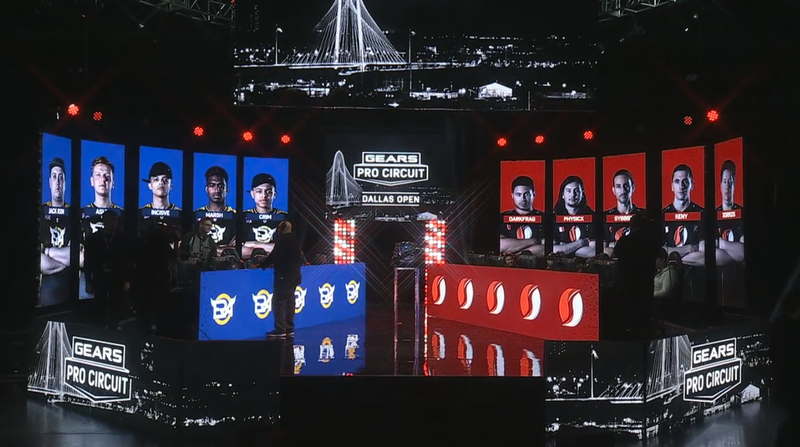 The MLG Dallas Open moves into its second day this weekend. The $300,000 tournament will close out the game’s competitive year with top teams from North and South America as well as Europe taking on one another and the lower tier contenders in attendance. Play began today with Supremacy vs. eRa Eternity at 11:00PM EST and will go late into the night. Then on Sunday the elimination bracket kicks off at the same time with the finals scheduled for 7:00PM. You can watch the entire event live in the stream below. Featuring eight teams with four headed to the seminfinals bracket, DreamHack Winter 2017's CS:GO tournament will see matches resume at 6:00AM EST on Sunday with the grand finals slated for 1:00PM. You can watch that tournament here. The DreamLeague Season 8 Finals are also this weekend. Team Liquid are face Team Secret today in the winners’ finals while Na’Vi and Evil Geniuses duke it out in the lower bracket. The grand finals meanwhile are scheduled for Sunday at 10:00AM EST. You can stream that live here. H1Z1 Elite Series at the event has both a team and solo tournaments with $100,000 on the line in each. Today’s action concludes with team qualifying matches that go through 1:00PM EST. Then on Sunday things begin with the the solo finals at 6:00AM followed by the team finals at 11:00AM. You can watch those tournaments live here. DreamHack is also the home of the Hearthstone Grand Prix so you can find some of the top players from Blizzard’s card game in attendance as well. The tournament is currently on the round of sixteen with finals to run on Sunday. You can find them streaming here. Melee will be at DreamHack with doubles and singles pools playing out early today. Then on Sunday top eight gets started around 10:00AM EST. You can watch that event here. Smash Wii U pros will be at 2GG Championship. Group play is underway today starting at 1:00PM EST, followed by the championship at 5:00PM on Sunday. You can stream that tournament here. The Battle for the Stones tournament continues with North American qualifiers this weekend. You can find more information about the tournament here. The ELEAGUE Cup will be Rocket League’s last major competitive event of the year and with $150,000 for a prize pool, it’s not to shabby either. The tournament started yesterday with group stage play and today it concludes with Gale Fore eSports and Mock-It currently sitting at the top. The semifinals take place on Sunday at 2:00PM EST followed by the grand finals at 4:30PM. The old-school shooter reborn is at DreamHack as well, along with the mobile moba Arena of Valor. You can find more information about those tournaments and streams here.